You'll find plenty of places to visit near Vadodara: Pavagadh (Kalika Mata Temple & Champaner-Pavagadh Archaeological Park), Bharuch (Golden Bridge, Shri Swaminarayan Mandir, & more) and Champaner (Jami Masjid & Pavagadh Hill). Next up on the itinerary: admire the landmark architecture of Lukshmi Vilas Palace, browse the different shops at Inorbit Mall Vadodara, enjoy the scholastic atmosphere at Maharaja Sayajirao University of Baroda, and contemplate the waterfront views at Sursagar Lake. 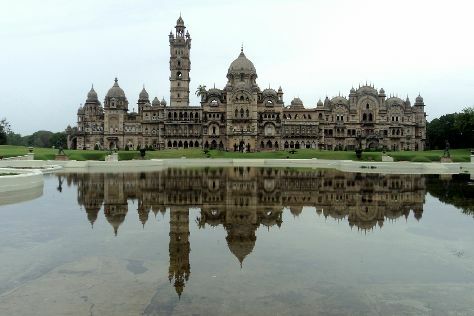 To see traveler tips, other places to visit, and other tourist information, read our Vadodara trip planner. If you are flying in from United States, the closest major airport is Sardar Vallabhbhai Patel International Airport. Finish your sightseeing early on the 18th (Thu) so you can travel back home.